5,500 Pound Reach Forklift Rental – Genie GTH-5519, is available for rent in Rochester NY, Ithaca NY and the entire Western New York region from the Duke Company. 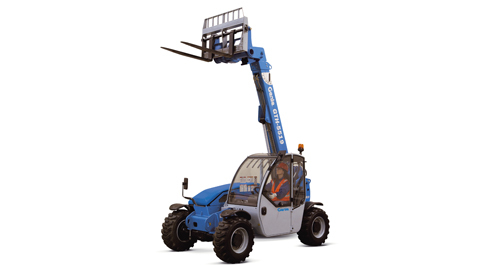 The Genie GTH-5519 is a compact telehandler that is renown for its maneuverability and precision. It has a user-friendly joystick for precise positioning.